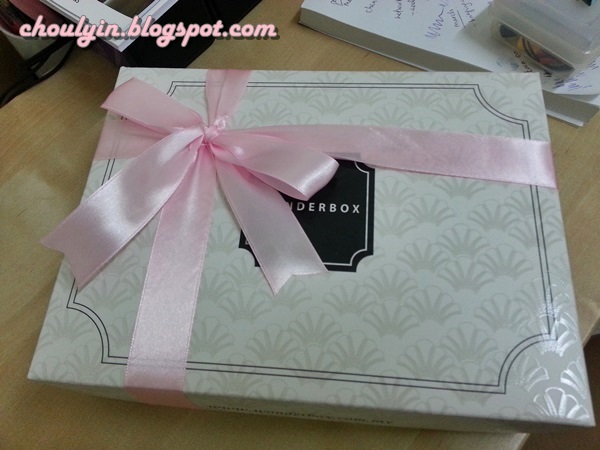 So out of the many choices available out there, I finally made my decision and went with Wonderbox :) *yay* Mostly because I've been monitoring the products that they give out for the previous boxes, and I really liked them :p so I took the plunge, and got it. 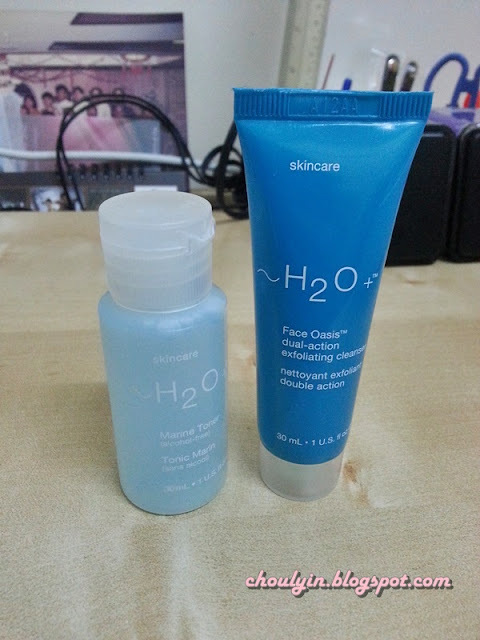 For me it was pretty affordable, at only RM39.90 :p not too expensive, and not too cheap either, so that you know the products that you get will be of some quality. The Toner is a revitalising, alcohol free toner that sweeps away impurities while improving moisture absorption. With Allantoin, Provitamin B and Hydrating Marine Blend. the cleanser deeply cleanse and revitalise skin with this gently refining, oil-free formula. Made with natural fruit enzymes, jojoba beads, and moisturising marine botanicals. The pore refining gel clears pores while balancing oily and dry zones, and visibly reduces pore size for a flawless complexion. The Moisturiser is a lightweight, oil-free moisturiser that infuses into the skin with hydration and protects against UVA/ UVB rays. I was quite excited to get the pore refining gel, as I was on the lookout for good products out there for my large pores. I found that the Shisheido one was quite good, but was hesitant to purchase it cos it would definitely cost ALOT cos of the brand. So when I got this in the box, I was quite happy, and after doing some research on it online, I realised that alot of people recommend this product. Apparently one bottle can last a super long time, so let's see how long this 3.7ml lasts. 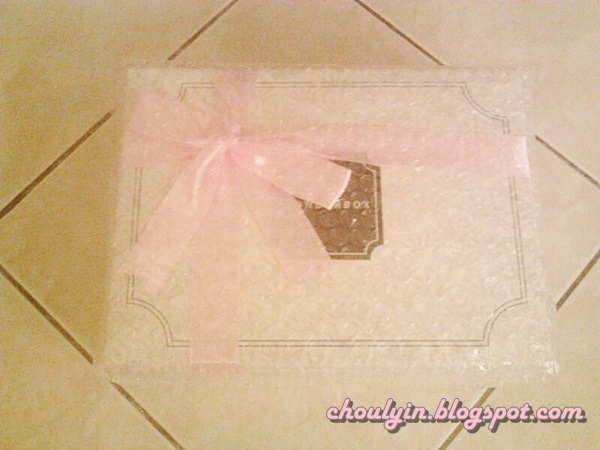 So, I will try it out, and blog about after a month :) Let's see how it goes. 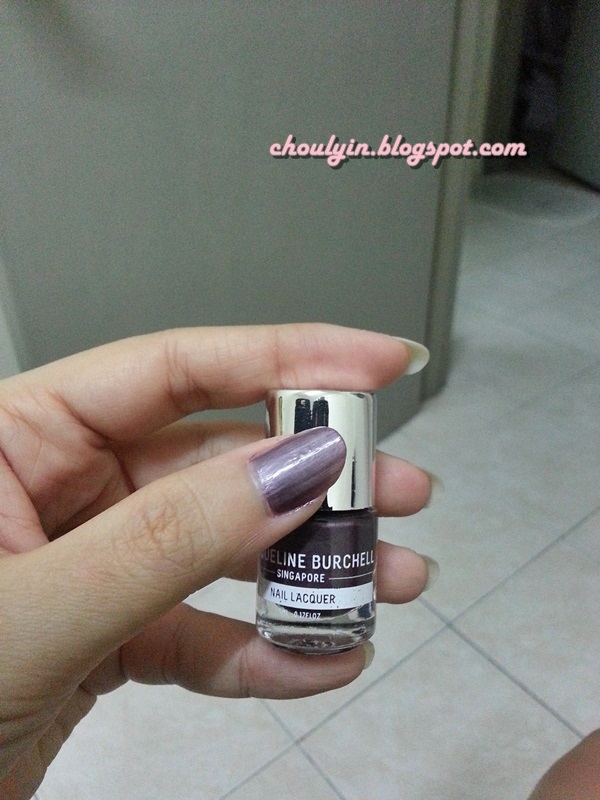 This Nail Lacquer has over 250 colours to choose from, and will bring out the colour in your life. Certified to be free of toluene, Formaldehyde, and Dibutyl Phthalate. 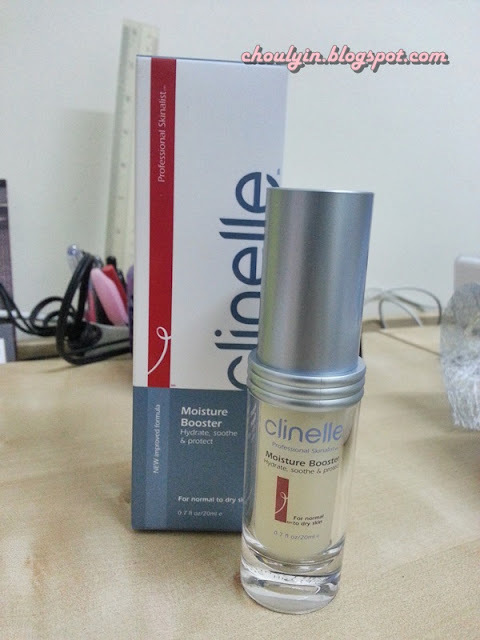 Clinelle Moisture Booster (RM72.90/ 20ml). This is the full product. 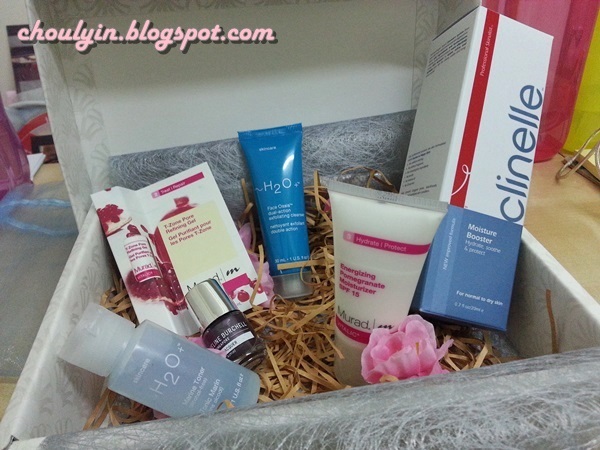 Provide your skin with excellent recovery properties and to maintain your skin hydration at an optimal level. This oil-free hydrating fluid helps promote instant moisture penetration to serve immediate soothing to skin while simultaneously reducing fine lines and wrinkles. If you calculate everything out to the ml and RM right (cos I'm just particular that way), this month's box is worth RM259.40 in total :p VALUE!!!!! All in all, I was pretty happy with the products given. I guess my only grouse with it is that I think they should include more different brands of stuff, not two products of the same brand, and make up as well, cos in this box, there was more skincare products than make up (can nail polish be considered make up? lol I don't think so). 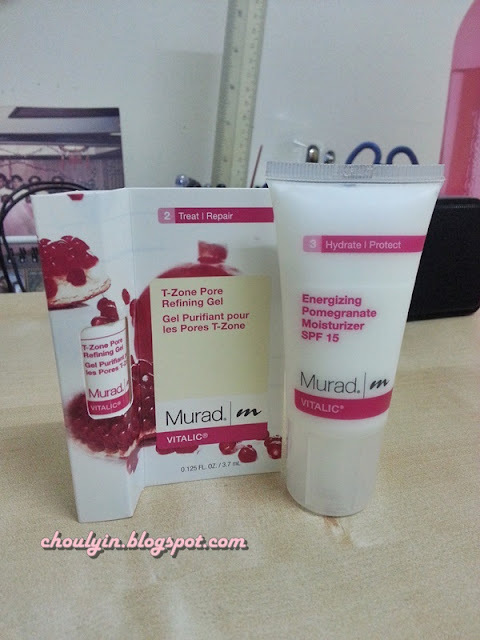 Murad is good stuff. Love the nail polish color.